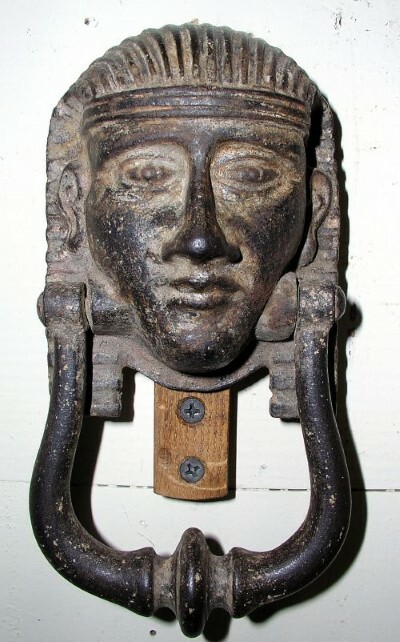 Cast iron door knocker depicting an Egyptian Sphinx. Great old surface and color. 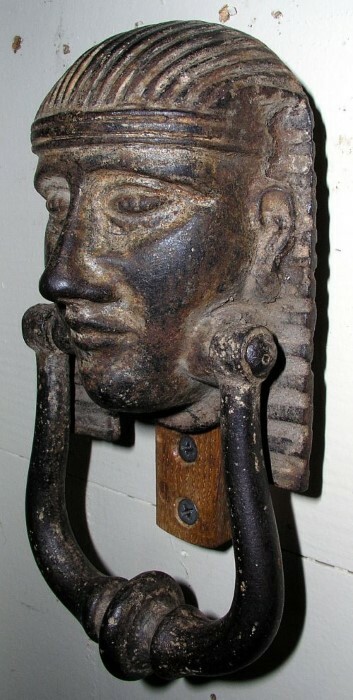 Fine details within a great old casting. Dimensions: Measures 7.5â€ tall x 3.5â€ wide.